Orienteering is a sport that combines running and navigation — imagine a cross-country running race where everyone picks their own route. Orienteering is suitable for all ages and fitness levels. It can be enjoyed as a walk in the woods or as a competitive race combining strategic thinking, navigation, strength, and high intensity cross-country running. 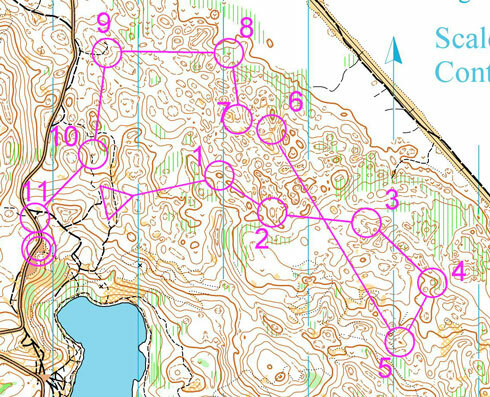 Orienteering is done on specially drawn, very detailed topographic maps usually at a scale of 1:5000, 1:10000 or 1:15000 depending on whether it is the sprint, middle or long discipline. Use of these scales allows for a wide variety of manmade and natural features to be shown. 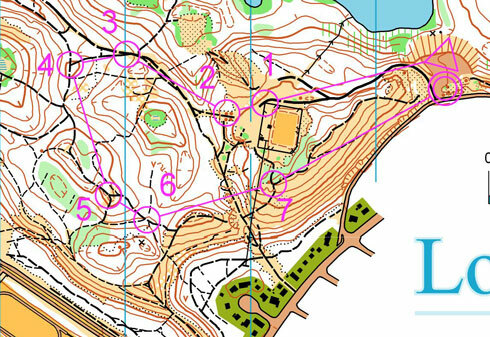 The International Orienteering Federation has a PDF called International Specification for Orienteering Maps which shows, among other things, mapping symbols and the overprint symbols used to mark courses on the map.. The race involves finding controls (or checkpoints) circled on the map in pink or red. In traditional orienteering, these controls must be visited in order (although other forms exist). So the controls are joined by lines and marked by numbers to indicate the order.